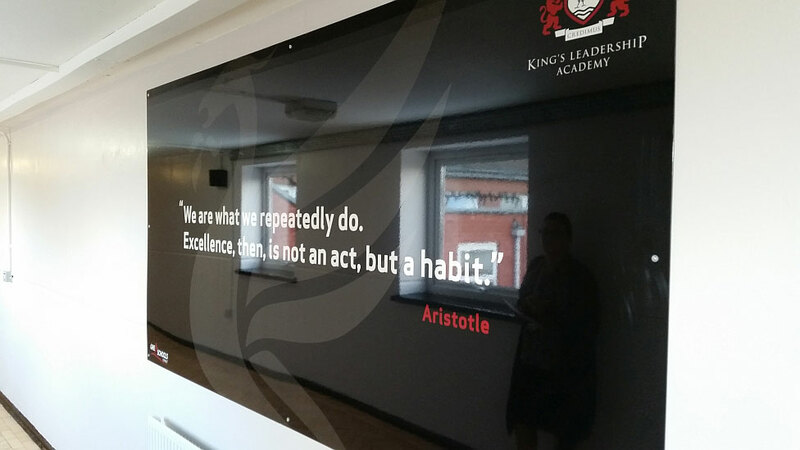 Parker Design created a complete rebranding and identity program for the King’s Leadership Academy in Warrington, England. 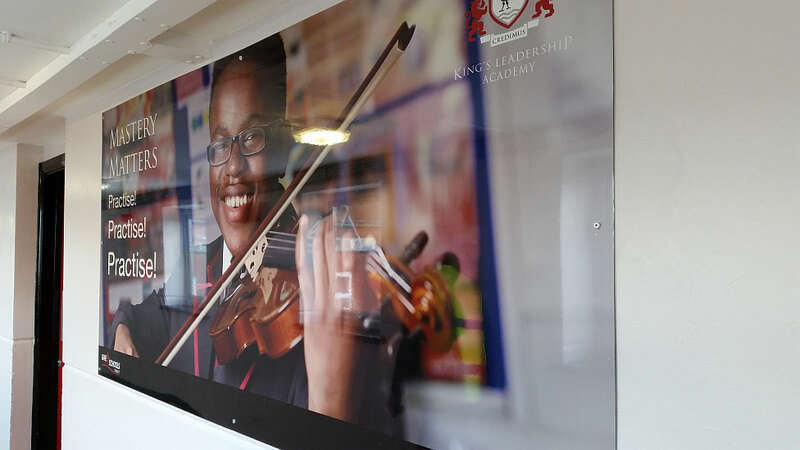 With the help of print specialists at Spiral Colour, the team produced a series of visuals for both the interior and exterior of the school. 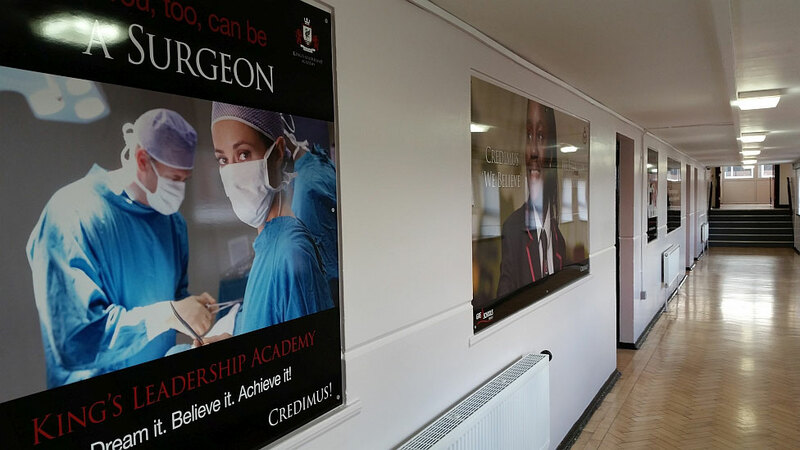 The large graphics were printed onto Dibond aluminum composite material. Spiral Colour and Parker Design have collaborated on numerous successful projects. 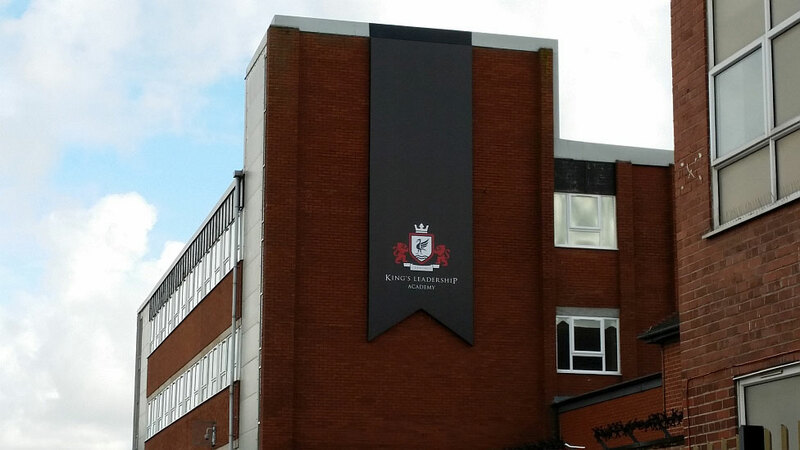 In this latest program, the teams worked together to create a new brand identity, working within specified hours to not disrupt school operations while also ensuring installation ran smoothly. Due to Spiral’s extensive experience within the strict parameters and time constraints of educational facilities, the project was completed during summer holidays. 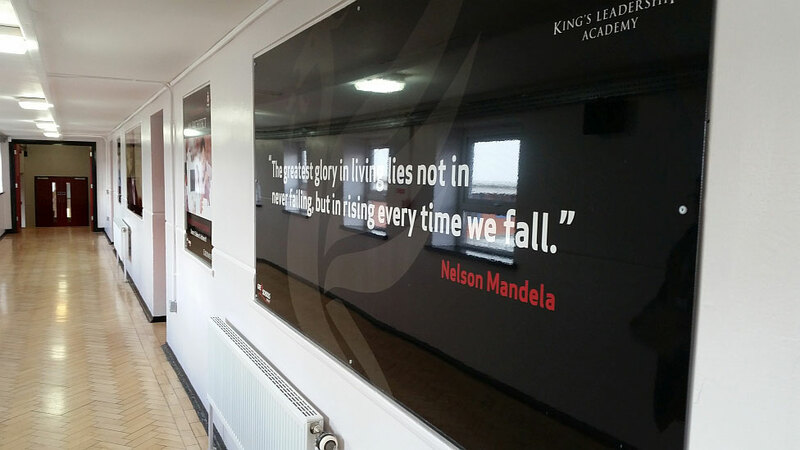 This allowed the students to return to a stunning new array of branded interior signs that feature inspirational quotes from famous philosophers and potential career paths the students could endeavor upon.